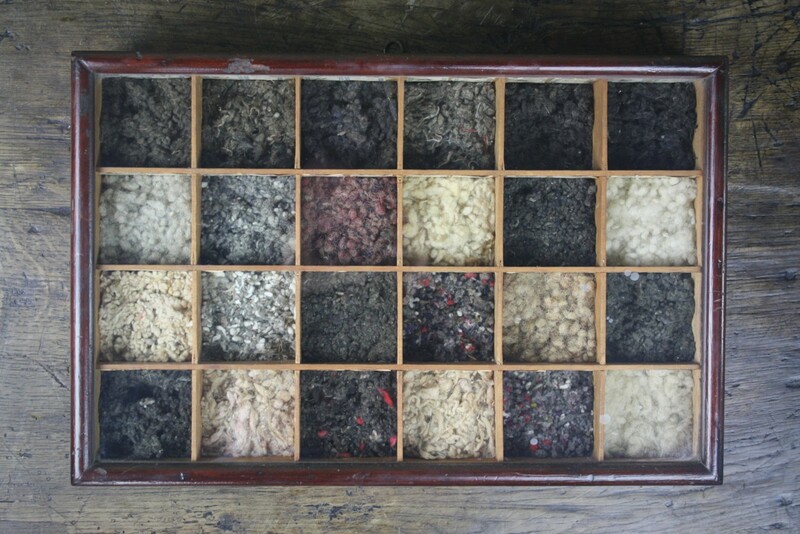 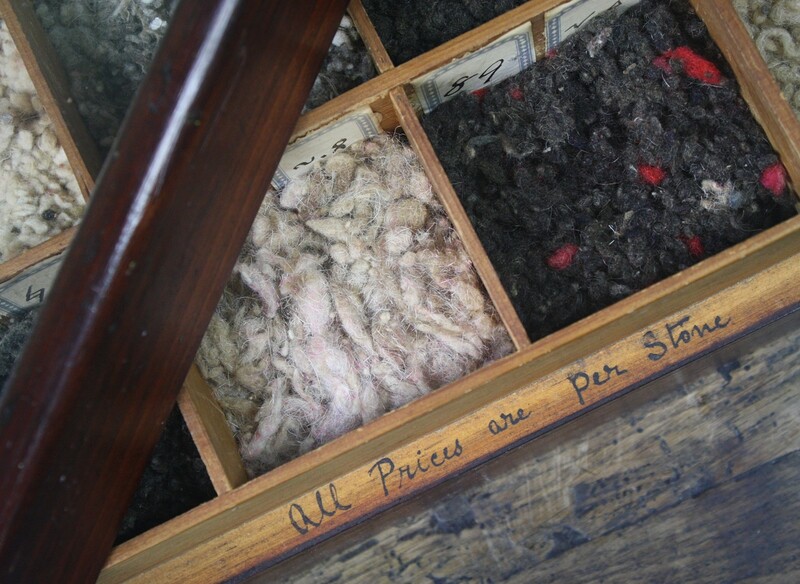 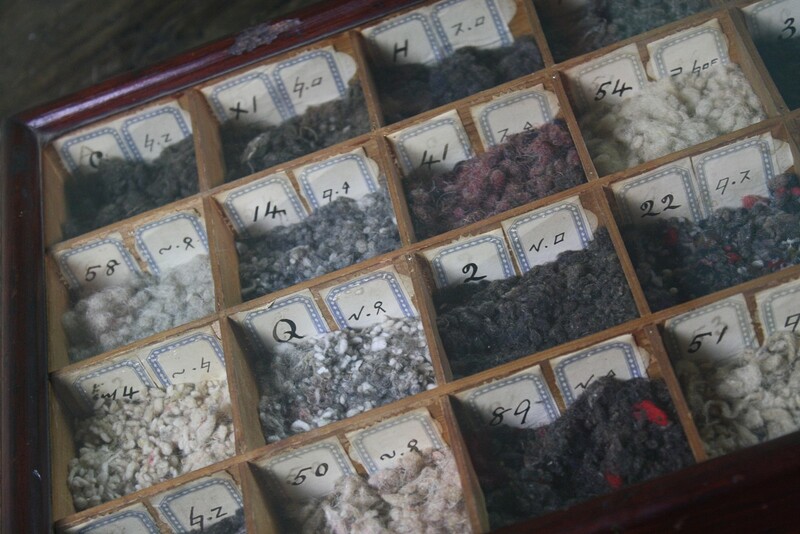 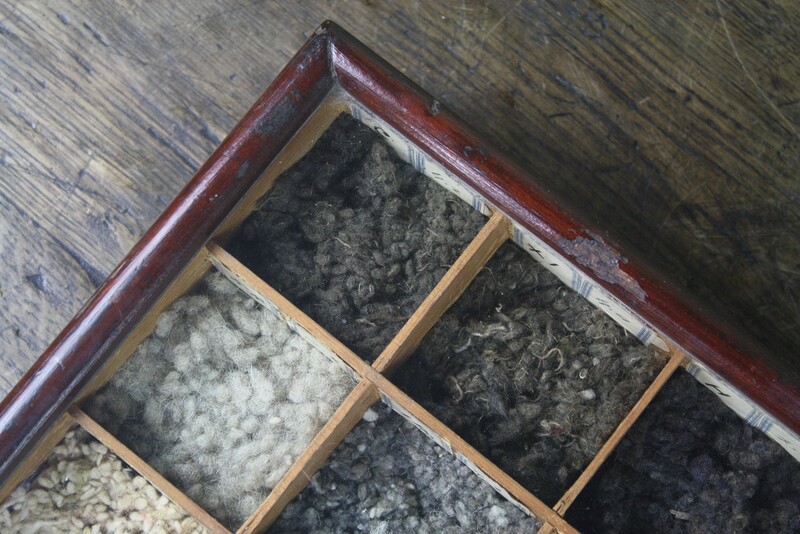 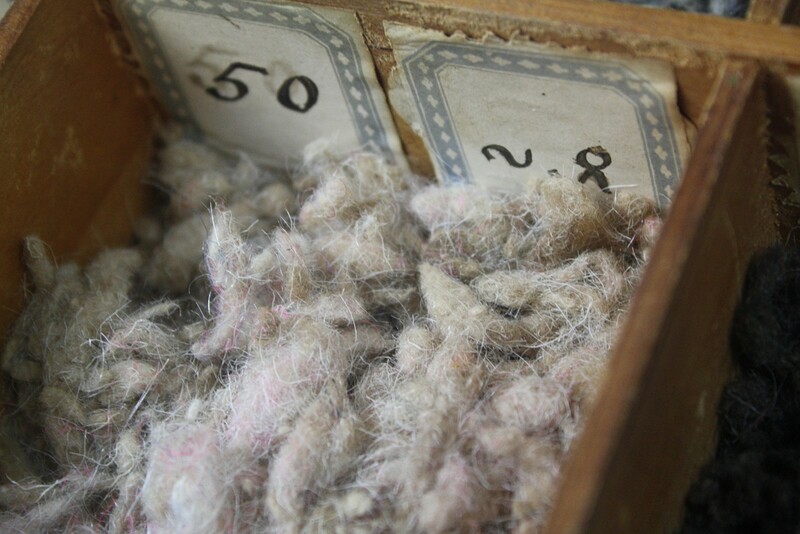 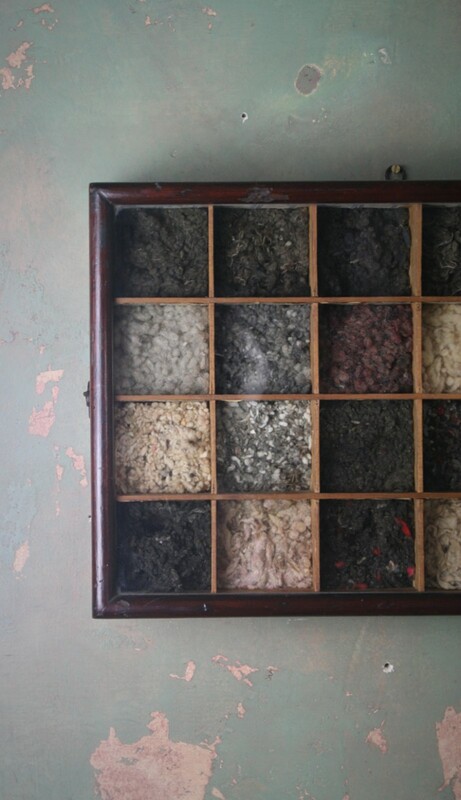 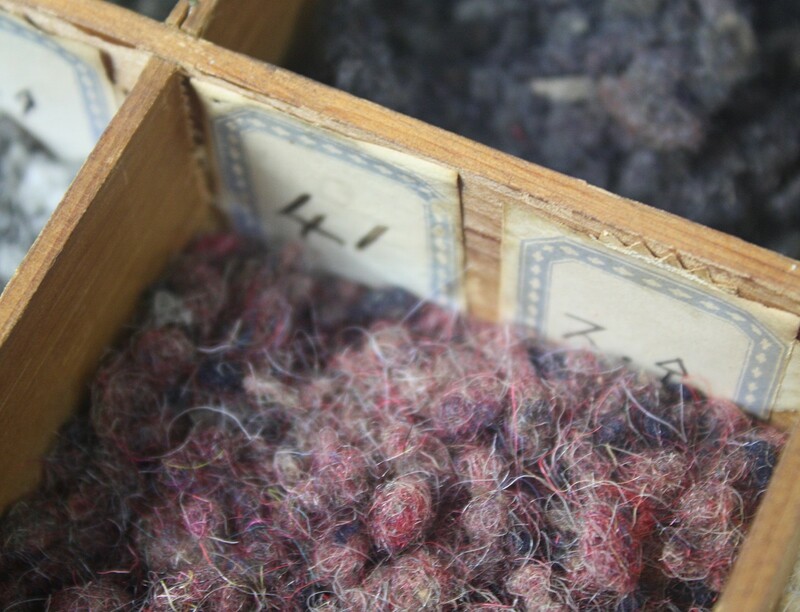 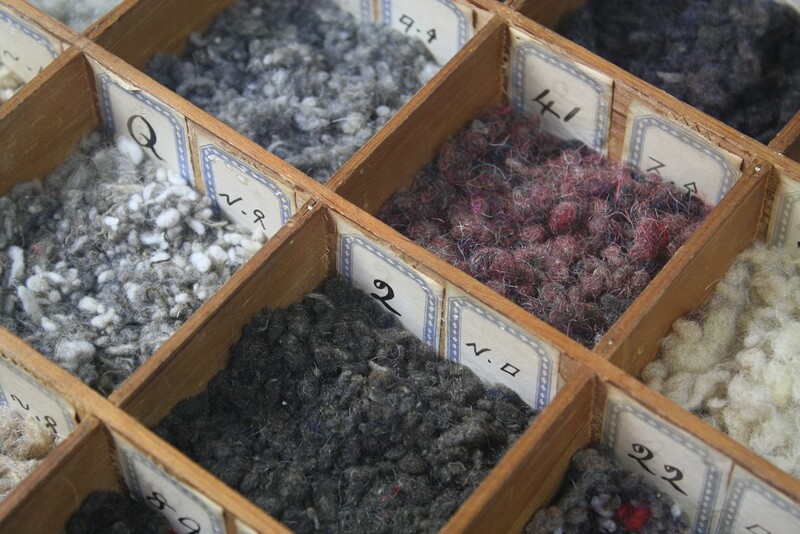 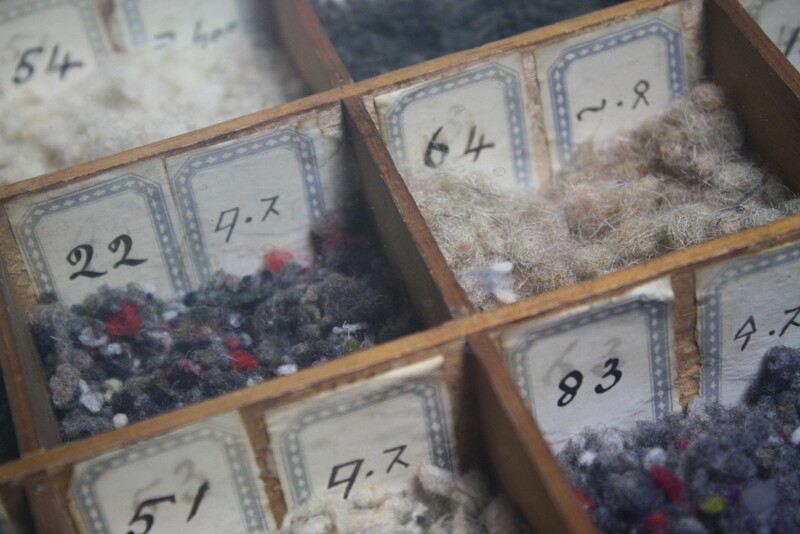 A early 20th century pine segmented box containing various wool samples, with original labels. 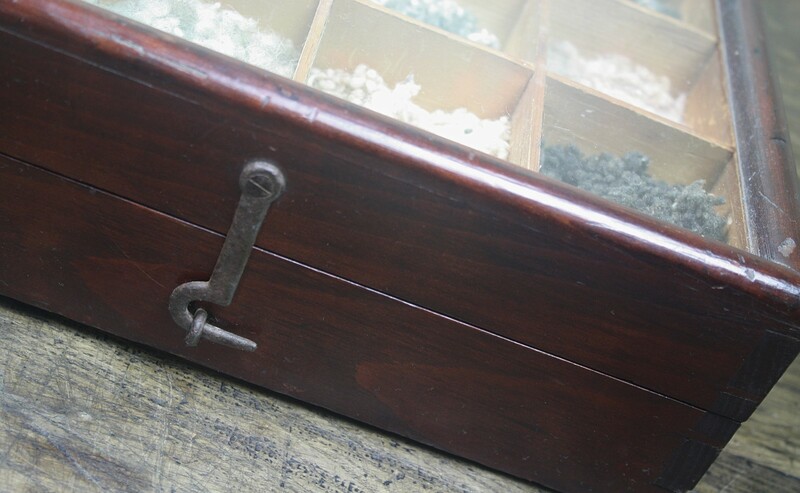 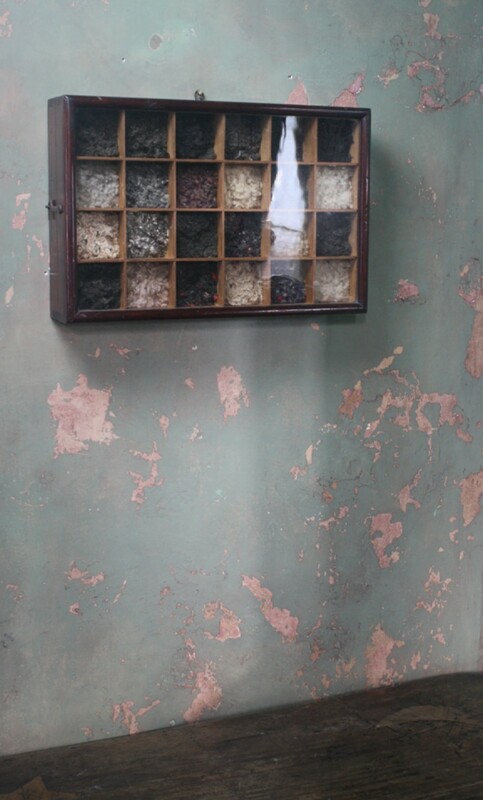 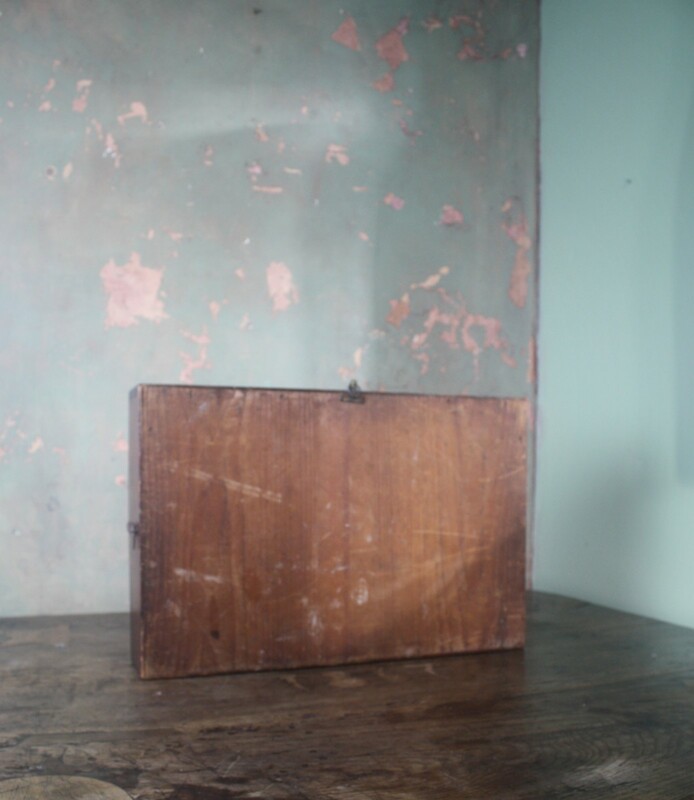 The box has a removable glazed top, secured with two brass latches. 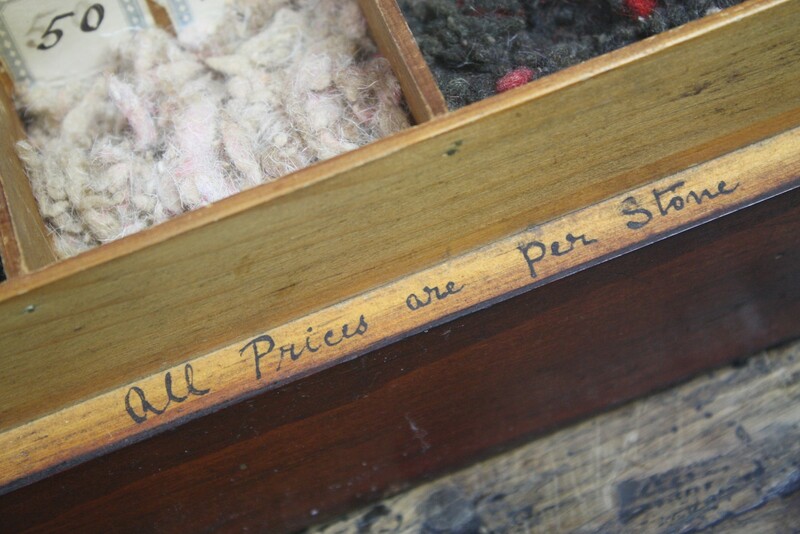 A hand written label on the interior rim reading "All Prices Are Per Stone"
This would be a tradesman sample.